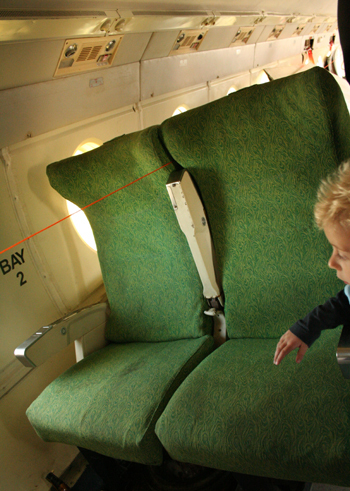 The Queensland Air Museum’s annual Open Cockpit Weekend was yesterday and today, and who would want to miss a chance to explore the flight decks of real-life airplanes? Not I. 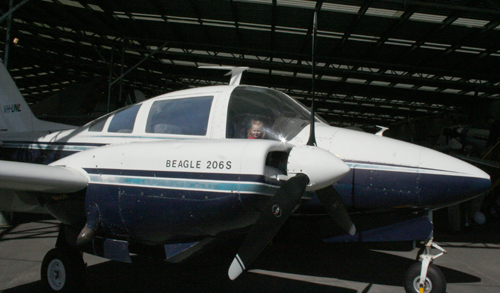 So under the guise of showing the planes to the girls, I convinced David to take us to the QAM at Caloundra on Saturday morning. 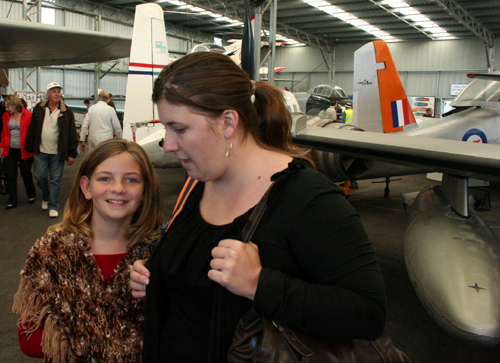 The museum is the largest civil and military air museum in Australia, and their Open Cockpit Weekend attracts exhibitors of other vintage machinery and related interests. 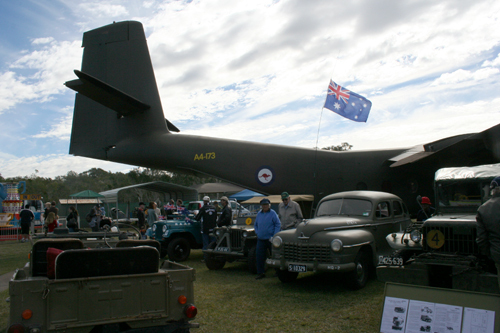 The museum was very easy to find — located just opposite the Caloundra aerodrome. It was reassuring to see little pointer signs advertising the museum as we approached the turn-off. It was a brilliant day with stunning cloud formations in the sky, but the wind was biting and cold. 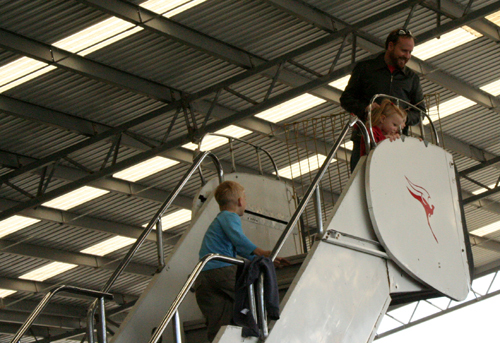 There were a lot of steps to go up and down to get to each cockpit. The kids really enjoyed them all! 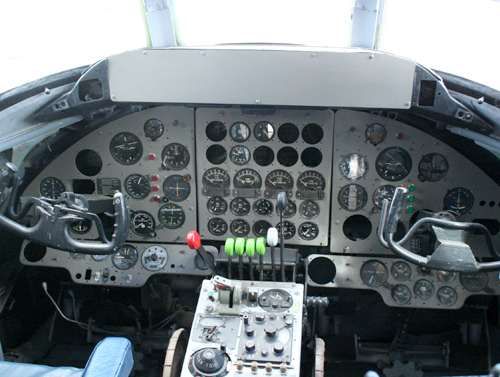 Looking into the cockpit of the Vickers Viscount. There was a lot to see, and it wasn’t all about planes. 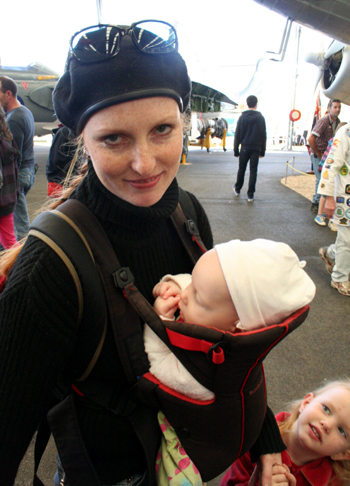 Many private exhibitors were showing their restored machines, motorbikes, vehicles and antiques. A couple of fairground attractions (jumping castle, etc) were off to one side, but they cost an extra $4 , so we gave them a wide berth. 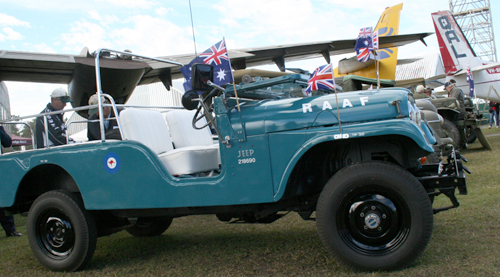 A number of army vehicles from different eras were also on display. Waiting for our turn in the cockpit of the Caribou. 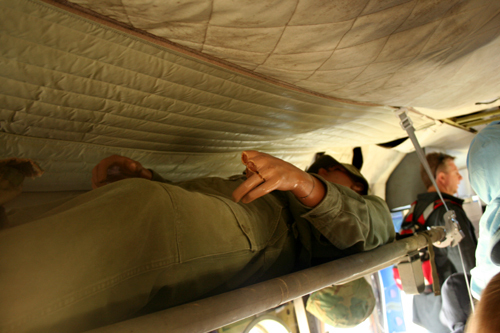 In the airplane, a mannequin (clearly a war casualty) was lying in a stretcher bed, showing how much room was allocated for each stretcher. 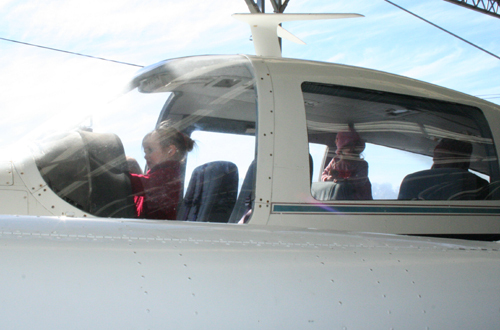 Calista is sitting in the pilot's seat once occupied by HRH Prince Charles. 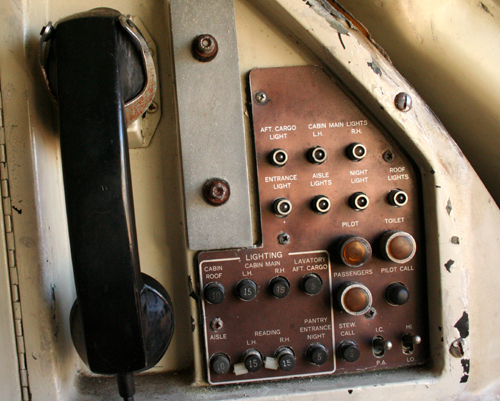 The intercom and light switches at the back of an old Ansett Fokker Friendship. 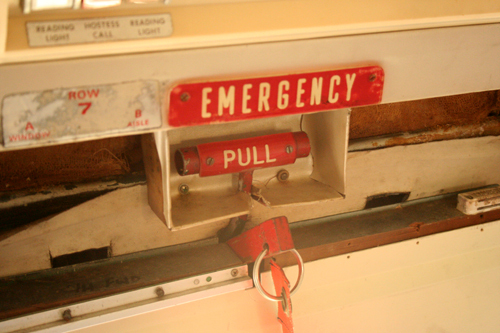 I'm not sure what this would do in an emergency or if I would have been game to pull it! 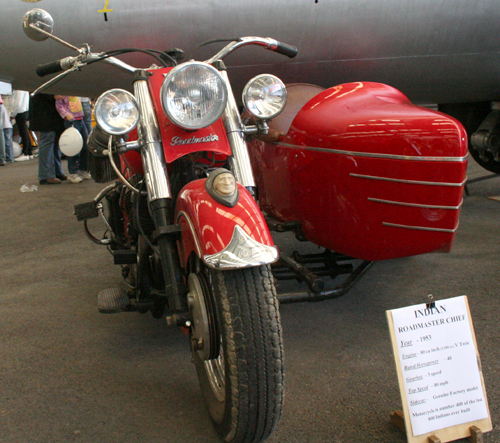 One of the original Indian motorbikes with its genuine factory-built sidecar. 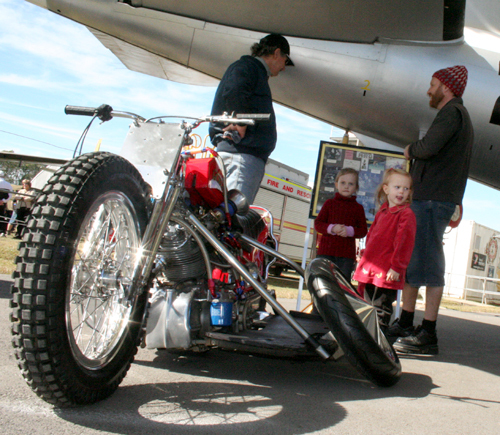 The Indian is the motorbike that was made famous twice — once when new Zealander Burt Munro broke the land speed record in it (for its class) in 1967 and secondly when Anthony Hopkins starred as in Munro in The World’s Fastest Indian. This was the horn on an old Douglas motorbike. 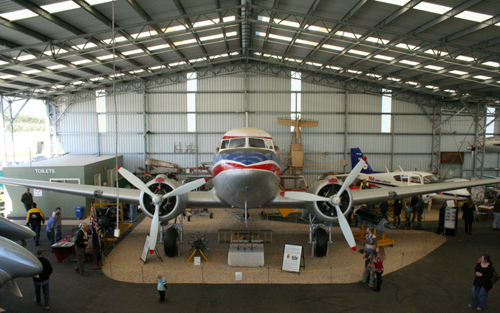 The museum exhibits sprawl across quite a large area are also located in several hangars. David and I became separated very early on in the morning, however I managed to find our friends the Rattenburys and decided to stay with them until David and I could meet up again. It was fun to look around the museum with our friends. Melinda was freezing most of the day, and finally got to warm up in the sun later on. 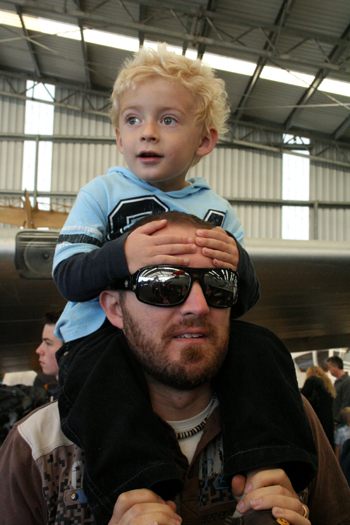 How do you locate your family in a huge aircraft hangar? 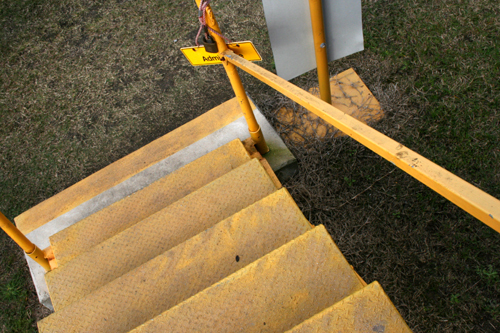 You head up the stairs, of course! 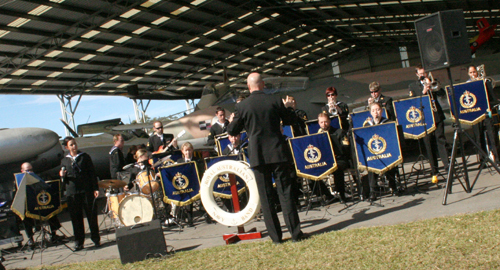 The Queensland division of the Royal Australian Navy band performed songs throughout the day. 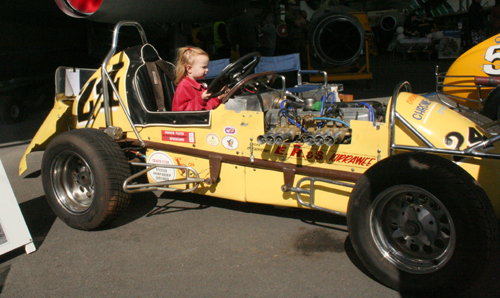 Brioni pretended to speed away in this Midget racing car. David was fascinated with this Vincent HRD and spent a long time talking to Ray who used to race this bike at the Sydney Speedway in the 70s. This HRD Vincent motorbike was a racing bike that carried two people. The driver steered and controlled the bike, and the passenger hung off the side or on the back, adjusting his weight as necessary so the bike wouldn’t tip over. Have a look at these photos taken at the Sydney Speedway. 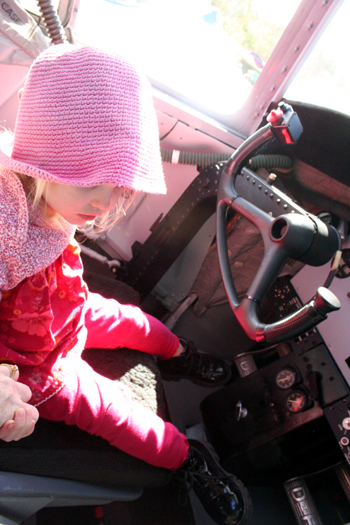 The girls got to explore the cockpit of a DC-3 that was used by General MacArthur in WWII. 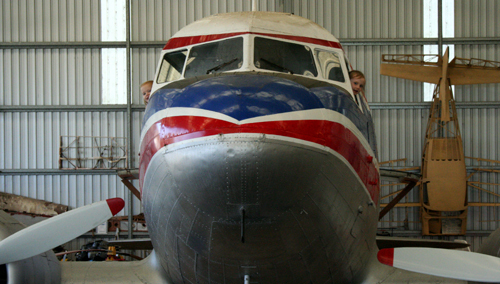 This particular DC-3 was built for KLM in 1937 and is the oldest one in Australia. Overall, the exhibits were very good. 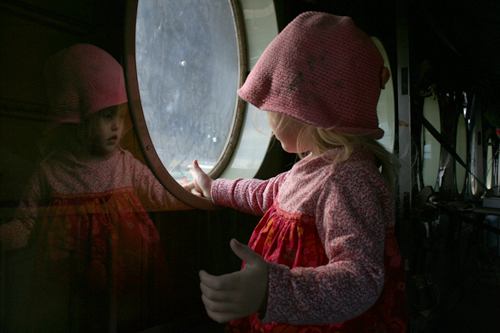 The QAM volunteers were exceedingly friendly and helpful, very patient with the endless numbers of children who just wanted to press all the buttons and throw the levers about. 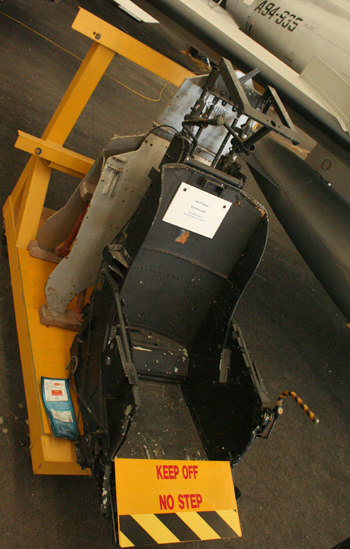 Next July, if you’re in the area, and have even the slightest interest in machinery, history or planes, plan on attending the Open Cockpit Weekend. It’s held on the weekend in the middle of the July school holidays and is absolutely fascinating!